"perfect size for whip falls, shame it doesn't come on a roll"
"Arrived in half the projected time, Enough to re-wick a Fyreball. Affordable and durable." 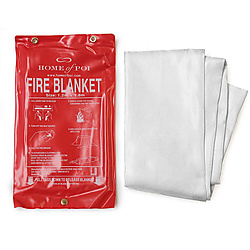 "I purchased this as a backup blanket for when ours is no longer usable. We have tested it out and it works like a champ. I will be purchasing another one within a few months." "Hopefully I won’t have to use this one but they are great to have just in case"